The tasting room is a two story, ranch style building with wrap-around porches. Included in this design are VIP and members’ rooms, a commercial kitchen, and administrative offices. The lower level opens onto a landscaped terrace that provides sweeping views of the valley and vineyards. 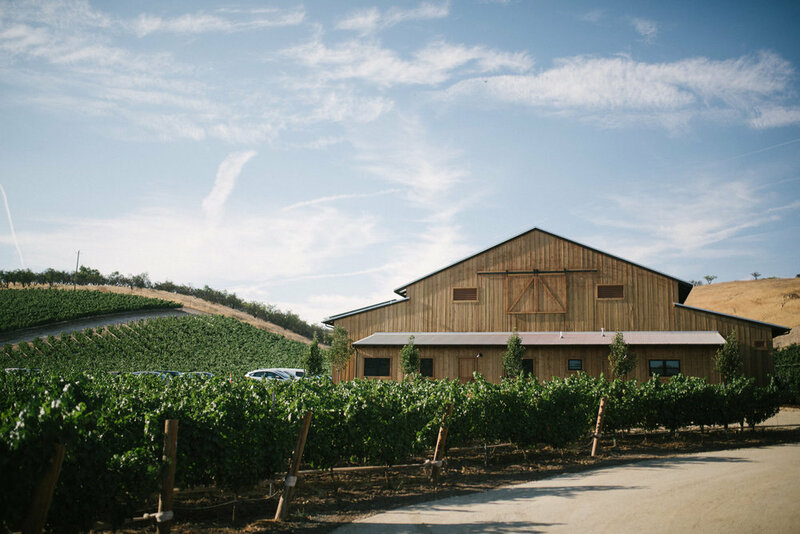 The 10,000 square foot production barn is designed to evoke the quintessential triple-aisle agrarian barn and includes a covered outdoor crush pad, fermentation and barrel rooms, and winemaking support spaces. This facility is able to produce 10,000 to 15,000 cases of wine per year. The pre-engineered steel building is clad in redwood siding and has a corrugated steel roof with solar panels serving the production barn.